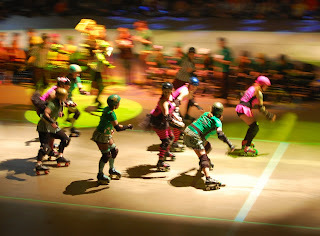 I recently attended Bout 4, an extravaganza hosted by the Minneapolis RollerGirls. Not having been to a roller derby before, I didn't know what to expect. It was excellent entertainment, and I will be investigating events by the Rat City Rollergirls for similar fun closer to home.